The great IndraNooyi is stepping down as PepsiCo CEO, after 12 years. Indra, you are a mentor + inspiration to so many, myself included, says Ivanka. Adviser to US President Donald Trump and his daughter, Ivanka Trump, has praised the India-born top boss of PepsiCo, Indra Nooyi, who has decided to step down as the CEO of the company after 12 years. 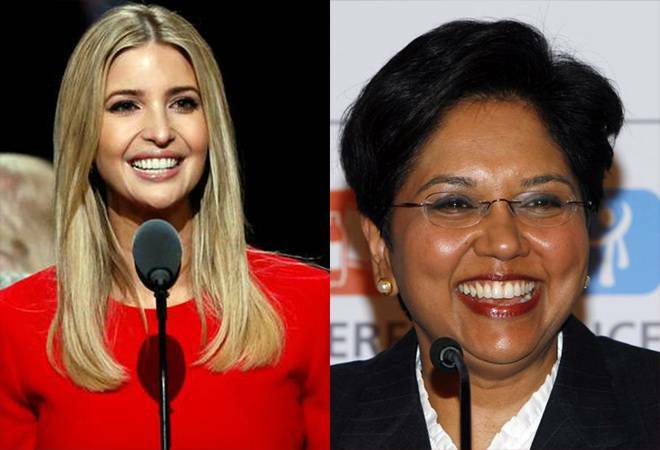 Ivanka called Nooyi a mentor and an inspiration and praised the PepsiCo CEO for her involvement in social issues that matter to the US. "The great @IndraNooyi is stepping down as PepsiCo CEO, after 12 yrs. Indra, you are a mentor + inspiration to so many, myself included," Ivanka tweeted. Indra Nooyi will pave the way for Ramon Laguarta to be the top boss of the American multinational food, snack, and beverage corporation. The 54-year-old Laguarta, who's going to be the sixth CEO in PepsiCo's 53-year history, will officially take over from Nooyi on October 3. PepsiCo's Board of Directors unanimously elected Ramon Laguarta, 54, to succeed Nooyi, 62, as CEO on August 6. Notwithstanding Ivanka's praise, Nooyi's association with Trump had ended on a slightly bitter note in August 2017 when she was included in the then US President-elect's Strategic and Policy Forum. The forum was disbanded in the August 2017 as Trump's remarks on violent white supremacist rally in Charlottesville, Virginia, caused a furore. Nooyi, who reportedly was instrumental in disbanding the forum, had said that she was "heartbroken" with the episodes of violence in the white nationalist rally. "Heartbroken by the violence in Charlottesville. Hate and intolerance are a betrayal of what we stand for as Americans," she tweeted at that time. However, Nooyi's overall contribution in taking the multinational company -- PepsiCo grew at an annualised rate of 5.5 per cent during her tenure as CEO -- to heights has been appreciated across the American industry. According to PepsiCo's Presiding Director Ian Cook, PepsiCo shareholders have benefited during Nooyi's tenure. "$1,000 invested in PepsiCo in 2006 is worth more than two-and-a-half times that amount today," said Cook. Nooyi served as the PepsiCo CEO for 12 years, and she will serve as Chairman till early 2019 to ensure a smooth and seamless transition. What's all this fuss about global proxy advisory firms in India?